Today at Gamescom, award-winning publisher Curve Digital announced that Racing Apex from Lucky Mountain Games Ltd. will be coming to Steam and consoles in 2018. 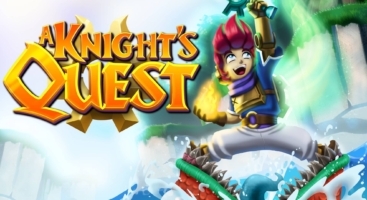 Curve Digital is happy to announce that A Knight’s Quest, a third person action adventure developed by Toronto-based studio Sky9 Games, will be playable at Gamescom from the 22nd to the 24th of August. Please send an e-mail to gamescom@cosmocover.com if you want to book a meeting.